Last weekend I attended the Crossroads Writers Conference in Macon, Georgia. The weather was perfect to gather with a group of like-minded writers. Macon’s downtown is charming, with a vital arts base. A long list of writers got their start in this gem of Middle Georgia. Friday evening my friends and I attended a poetry reading and book launch for Writing on Napkins in the Sunshine Club. Edited by Kevin Cantwell, this poetry anthology was written in, around and about Macon, Georgia. Several featured poets answered audience questions following the readings. Poet Anya Silver urged writers to find their voice and discover who they are. “Don’t worry so much about publication; just write,” she said. 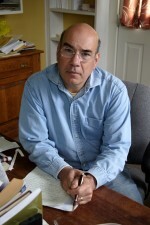 Georgia State University professor David Bottoms, the poet laureate of Georgia for 11 years, explained that what brought him to writing was a search for some significance – something of consequence. “I thought I could find it in the written world,” he said. Bottoms urged the aspiring writers in the room to “read fiction, read novels.” He especially recommended 19th century Russian writers such as Leo Tolstoy – “It gets no better than that.” Of all the translations of War and Peace, one of the most important works of world literature, the one by Richard Pevear and Larissa Volokhonsky is the best, Bottoms said. A highlight on Saturday was meeting another Tolstoy admirer – distinguished novelist and biographer Jay Parini. 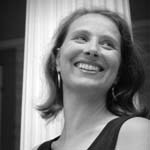 Parini has chronicled Herman Melville, William Faulkner and Robert Frost, and wrote The Last Station: A Novel of Tolstoy’s Last Year. He shared his two-decade struggle to get his Tolstoy drama adapted into a movie. The first 10 years he collaborated with Anthony Quinn, who had planned to portray the famous writer. “We wrote 18 versions of the script,” recalled Parini, who commuted to New York from Connecticut on weekends to meet with Quinn. The project lost funding support when Quinn died from throat cancer in June 2001. It took another four years to raise money for the film once Anthony Hopkins and Meryl Streep signed to play Tolstoy and his wife, Sofya Andreyevna. However, Streep pulled out because of timing with another project, Mamma Mia! In 2009, his tenacity was rewarded and the historical drama starring Helen Mirren and Christopher Plummer came out, later garnering two Oscar nominations. Parini said he originally intended The Last Station to be non-fiction. He was living in Naples, Italy, when he came across a copy of the diary of Tolstoy’s 25-year-old secretary. Parini learned that not only did Tolstoy and his secretary keep journals, but also did others in his inner circle, including his wife, his daughter, his personal physician and his publicist. He wrote to the London Tolstoy Society and received copies of all the journals and they formed the basis of his book. “I created the novel out of seven voices,” says Parini, who visited Tolstoy’s two homes and other key locales. With such rich first-person material, “the novel wrote itself,” he says, estimating it took six to seven months. “It’s useful to travel,” says the author, who visited Tolstoy’s two residences and the famous train station where he died while researching the novel. Asked how much is he willing to stretch truth to tell his character’s stories in dramatic form, Parini said he doesn’t like to venture too far a field, preferring instead to do what he calls “hugging the shore.” “I don’t like to go out so far you can’t see the shore,” he explained. Parini’s current projects include collaborating with Stanley Tucci on the film adaptation of his book, Benjamin’s Crossing, which novelizes the life and death of Walter Benjamin, a German Jewish intellectual who died fleeing Nazis into Spain. 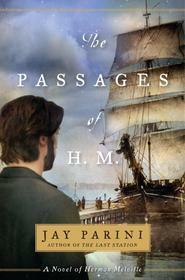 He also is working with Paul Giamatti on the screenplay for his Melville novel, The Passages of H.M. Critics have called the work too contemporary. “How do you know how people talked? You’ve got to make it available for contemporary readers,” noted Parini, who says that it’s a delicate balance and something that Giamatti and he are grappling with on the screenplay. Of the three biographies Parini penned, he was most attracted to the story of Robert Frost in part because he could identify with Frost as a fellow New Englander. Parini admitted that he strongly prefers writing novels to biographies. At the conclusion of his presentation, I asked Parini what he was currently reading. Besides a book of poetry, he mentioned the FDR biography, Traitor to His Class, and Falling Upward, a book penned by Franciscan priest Richard Rohr that explores how one’s failings can be the foundation for spiritual growth. 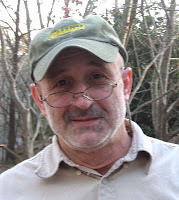 This entry was posted in Author Interviews, Films & Pop Culture, Writing Conferences and tagged historical fiction writing, Jay Parini, The Last Station: A Novel of Tolstoy's Last Year on October 9, 2011 by AnneWainscott.